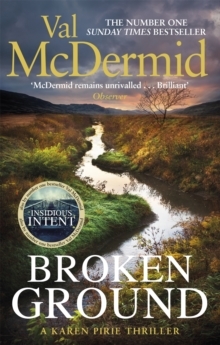 Number one bestseller and queen of crime Val McDermid returns with her most breathtakingly atmospheric and exhilarating novel yet'Somebody has been here before us. And he's still here . . .'When a body is discovered in the remote depths of the Highlands, DCI Karen Pirie finds herself in the right place at the right time. Unearthed with someone's long-buried inheritance, the victim seems to belong to the distant past - until new evidence suggests otherwise, and Karen is called in to unravel a case where nothing is as it seems. It's not long before an overheard conversation draws Karen into the heart of a different case, however - a shocking crime she thought she'd already prevented.